I am a bit disappointed with the superphoto feature. Everytime I take a photo I get that annoying shadows - “ghosts”. I read that this is caused by HDR And moving subjects. It’s very frustrating cause I would like to take advantage of the superphoto but at the same time I don’t want to risk to have to trash all my pics (like it happened last time at a surfing camp). I wonder.. is it possible to retrieve a non HDR picture from a superphoto? And.. is there a way to have my GoPro save two pictures from the same shot - 1 superphoto (HDR) and one not? 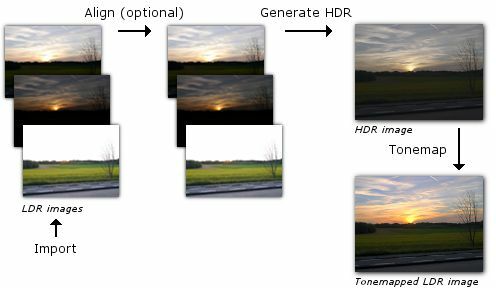 You must understand how HDR works. It takes 3 pic at least at the same time with some small interval between.First underexposed, right exposed and over exposed. After than is gather to one. If you move camer while taking pic, some of them will be a little bit odd = ghost. Especially if you are taking photo in move and low light condition. Better to use tripod. I assume that GoPro has some align algorithm but will do nothing if you shake to much. Thanks! So for taking pics on the go I should always keep superphoto off. I still think it would be nice to retrieve a non-hdr photo from a superphoto. Or to have the GoPro automatically save both versions. For examples the iPhone does that.